Home ASIA Can the Indian judicial system of appointment serve as a role model for the U.S. judiciary? Can the Indian judicial system of appointment serve as a role model for the U.S. judiciary? The framers of the U.S. constitution had desired for an equal distribution of power between the different branches such that the political parties would not play an overwhelming role in the governmental structure. The party politics would be limited to the executive branch where they would come to power through the electoral college on selection of candidates made by the legislature. The judicial branch would be the third branch to provide additional checks to this system. However, the worst fear of the constitution makers came out to be true with regard to the massive politicization of all the three branches. The presidential appointment of the federal court judges on confirmation by the Senate has made the judicial branch extremely political and party driven, thereby making the citizens introspect on the failures of the Rule of Law in the U.S. The Indian judicial branch has undergone changes over the years to attain complete independence from the executive branch. The Indian judiciary was in a number of ways controlled by the executive as the judicial appointments were made by the President on consultation with the Chief Justice of India. There was an extensive abuse of this power by the executive in the year 1973, when the then Prime Minister Indira Gandhi had appointed Ajit Nath Ray as the Chief Justice of India superseding the appointment of the senior judges in line. This had clearly revealed the submission of judiciary to the Congress party politics. The extent of executive interference in the judicial activities had reached a peak in the year 1975, when the Supreme Court had to surrender to the dictates of the executive during the national emergency. The very next year there was also a wide scale reallocation of 16 high court judges furthermore tarnishing the democratic nature of the Indian state. Till 1982, the Judges federal courts of India would be appointed by the President on recommendation by the Chief Justice of India, but post the SP Gupta Vs Union of India case it was established that the Chief Justice of India would have to consult the two senior most Supreme Court judges before sending their advice. Preceding this the President appointed judges by taking recommendations from the Chief justice which were not binding on the President but this case expanded the recommendation to the two senior most judges too. Even though there was a bit of judicial independence established in this case, the political interference in the affairs of judiciary continued to persist. The second judges case in the year 1993 led to the adoption of the collegium system for the appointment of the Supreme Court and High Court judges, where it was believed that the juciary and the executive both played a mutually constitutive role in the appointment of the judges. Neither could take decisions without consulting one another. This case had put the judiciary in the same level as that of the executive but still it did not ensure its total autonomy and independence as a third branch. 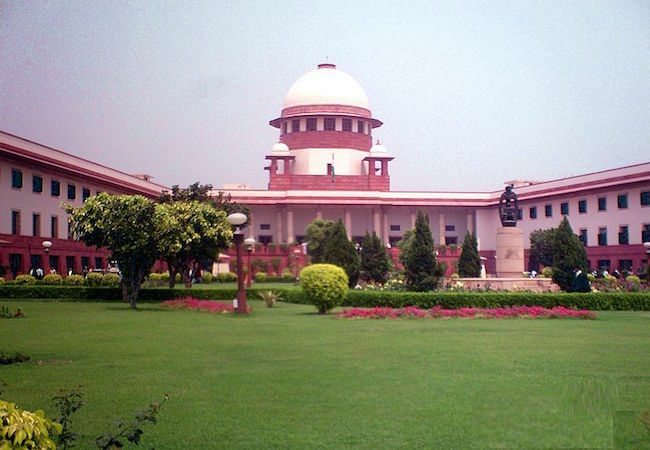 In the third Judges case of 1998, the President had asked for a special reference, under the Article 143 of the Indian Constitution, from the Supreme Court with regard to the appointment and the transfer of judges, and the Supreme Court on examining the issues had given primacy to the opinion of the chief justices while making appointments thereby making the recommendation from the chief justice legally binding. In reference to this the judicial branch had pursued total independence from the executive branch by nullifying the role of the President. Post these three cases the Indian judiciary has enjoyed absolute independence from the other two branches and acted as in important organ to check and balance the powers of the executive and legislature. Through the recent passage of the Ninety Ninth Constitutional Amendment Act in 2015, creating a National Judicial Appointment Commission, the executive had tried to reestablish its control over the judiciary. This was immediately struck down by the Supreme Court by declaring it unconstitutional thereby restoring the powers of the judiciary. Similarly, it becomes very important for the U.S judicial system to be free of party inclinations and consist of judges who are not driven by extreme polarization. This can be only attained through amending the ways in which the judges are appointed. The appointment of the judges should not lie in the hands of the executive and the legislature, but rather should solely rest with the judiciary. Drawing suggestions from the Indian judicial system, the Chief Justice of the U.S. along with the two other senior most judges in the Supreme Court should play an important role in appointing the judges and the power of the President should only be limited to the ratification of names. As another option there needs to be a separate body or commission governing the appointment of the judges, where the committee members would not belong to either the executive or the legislature. The judiciary should be independent and the judges should be able to interpret laws autonomously without getting influenced by the ideas of the party that appointed them. Also, the appointment of the judges for life paves the way for an undemocratic structure to emerge thereby making it a requirement to fix the tenure of the judges. The Separation of Powers in the U.S. Constitution is an extremely flawed affair. The U.S. as being one of the oldest democracies in the world is extremely threatened by the politicization of the judiciary. Under the current circumstances the conservative Supreme Court judges to keep up with the party loyalties are not likely to challenge the executive decisions and now that the present administration has become successful in appointing another conservative federal judge, thus the rule of one party has now become inevitable. Likewise, in India during the national emergency the rule of one party had become indomitable when a Supreme Court judge, Hans Raj Khanna, the only dissenting voice against the executive view and also the author of the basic doctrine of the Indian Constitution, was denied the appointment as the Chief Justice of India by the executive. Hence, it is important to guard the judiciary against the influences of party politics to sustain U.S. as a free and a democratic society. This total independence of the Judiciary can only be achieved through ensuring the independence of each and every judge who will be able to perform their functions autonomously. Even though the framers of the U.S. constitution could not anticipate these failures, it is not very late to make the fundamental amendments. The U.S. had fought the Cold War in the lines of promoting Democracy and Capitalism and if one of the most important pillars of the three fails then the sole purpose of U.S. will cease to exist. Megha Gupta is a scholar of Masters in Diplomacy, Law, Business at Jindal School of International Affairs, Jindal Global University, India.